To mark the countdown for the 2022 FIFA World Cup Qatar™, beIN hosted a special day on November the 21st with special programs, exclusive interviews and a visit from the world’s most coveted trophy, the 2018 FIFA World Cup™ Winners Trophy. 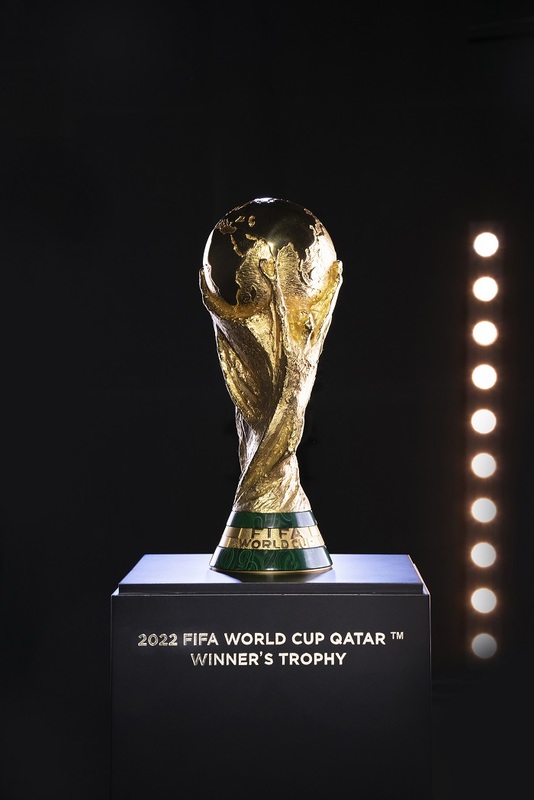 The FIFA World Cup™ Winners Trophy, which was presented to the French National Football team at the 2018 FIFA World Cup Russia™, was first unveiled at the 1974 FIFA World Cup Germany™. Viewers from around the world tuned in to beIN SPORTS HD1 and its free to air channel as it dedicated 24 hours of nonstop exclusive reports, FIFA documentaries, stadium site visits and interviews across their English and Arabic Channels, their dedicated 4K channel and their social media platforms. “Arabs in World Cup”, a documentary on legendary Arab football players who competed in the competition, was broadcasted along with FIFA films that included FIFA World Cup™ matches from 1978 to 2018. The Morning Show was also broadcasted live and exclusive from Doha, featuring exclusive interviews and coverage from Hamad International Airport, Qatar Rail and the state-of-the-art FIFA World Cup™ stadiums including the revamped and ultra-modern Khalifa International Stadium, to give viewers a glimpse into what to expect as the 2022 FIFA World Cup Qatar™ draws closer and closer. “Qatar 2022: The Countdown is On” show was broadcasted on all the beIN SPORTS channels and featured the 2018 FIFA World Cup™ Winners Trophy as well as guests such as H.E Mr. Hassan Al Thawadi, the Secretary General for the Supreme Committee for Delivery and Legacy who updated viewers on the latest developments on Qatar’s preparation for the big event. Several beIN star presenters and guests including 2010 FIFA World Cup™ winner and Barcelona legend Xavi Hernandez, 2010 FIFA World Cup™ runner up and Dutch legend Wesley Sneijder, celebrated manager Arsene Wenger and others shared their insights on some of the most memorable FIFA World Cup™ matches in recent history. A documentary on Qatar 2022 was also broadcasted on beIN’s free to air channel which hosted beIN stars Ayman Jadah, Yousef Seif, Hisham Al Khalsi, and Hafid Derradji who discussed their memorable experiences covering previous FIFA World Cups. beIN is the official broadcaster for the 2022 FIFA World Cup Qatar™ and the 2026 FIFA World Cup™ in the Middle East and North Africa (MENA), having started its journey as the official broadcaster since the 2010 FIFA World Cup™.